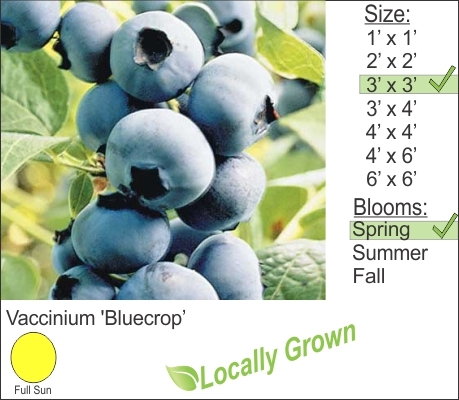 Blue Crop High Bush Blue Berry is a good production plant that grows well in the Hudson Valley. Plant with good organic soils that are more acidic like peat moss and peat humus. Keep this shrub trimmed from 4-6 ft. in height for best results. You will also need to plant more than one plant for good fruit production. Bluecrop also has a nice autumn color turning shades of red.